Do you wish to steal the show without burning your fingers, order these custom non woven polypropylene drawstring backpack! They are affordable and most likely to fit into your promotional budget. This backpack can be easily slung over the shoulder while hurrying to gym, sports area and many more. 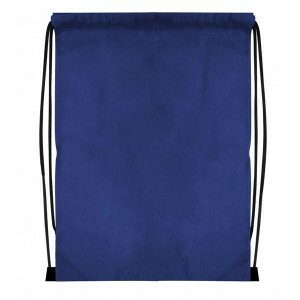 Investing in this drawstring backpack is perfect example of smart marketing because any information imprinted against it would be seen easily due to its striking color profile. 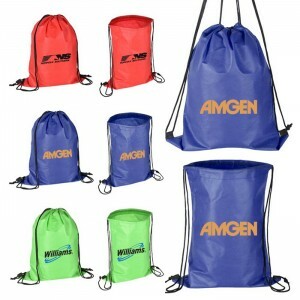 Request a quote to know wholesale price savings for these customized non woven polypropylene drawstring backpack. Features- 80 gram non woven material. Reusable and recyclable. Polypropylene. Drawstring closure. Item Size - 13” x 16” inches. Imprint Size - 6”w x 6”h. 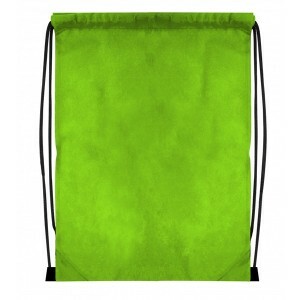 (Optional): 8"w x 8"h.(Heat Transfer): 5 1/2"w x 5 1/2"h.
Product Size: 13" x 16"